Product prices and availability are accurate as of 2019-04-18 20:03:33 EDT and are subject to change. Any price and availability information displayed on http://www.amazon.com/ at the time of purchase will apply to the purchase of this product. Change the way you multi-task with the V-Linker. This thumb-sized media dongle allows you to cast videos, images and documents, and also mirror or extend your screen wirelessly using your smartphone, tablet, or PC. 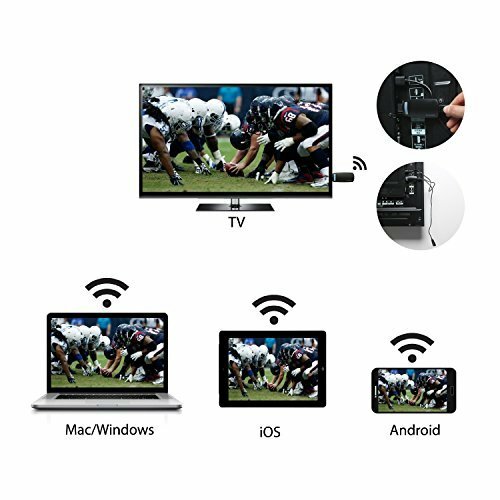 Uses the function Airplay, MiraCast, DLNA, EZCast. 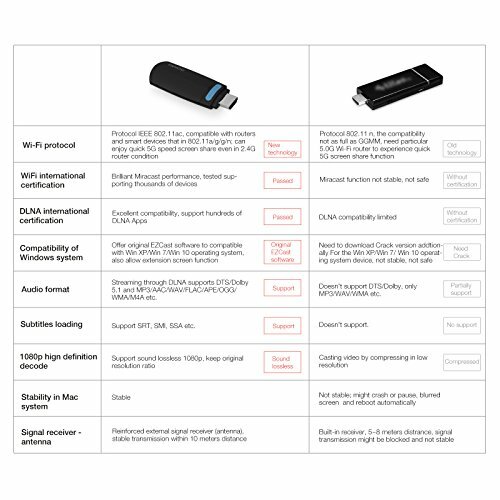 Supports iOS devices with iOS 4.3 or higher and have the Airplay function. Also works with MAC computers that have Airplay built in. 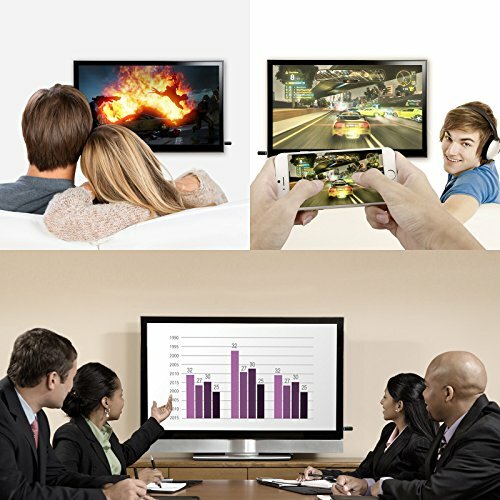 MiraCast is supported with Android devices that have Android version 4.3+ and also supports Windows (8.1+). Make sure your Android device has MiraCast incorporated. 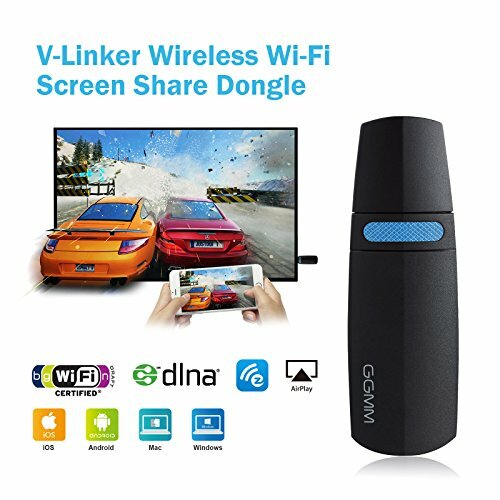 V-Linker Dongle can also act as a render, it can allow you to stream audio and video files from your local DLNA server like your NAS, PVR, PC. 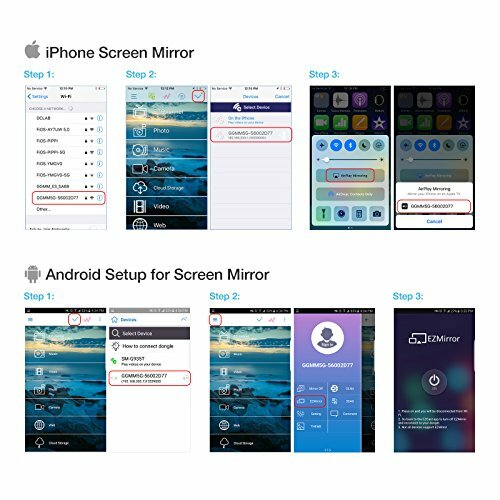 If your smart device, PC, or Apple device does not support MiraCast/Airplay. 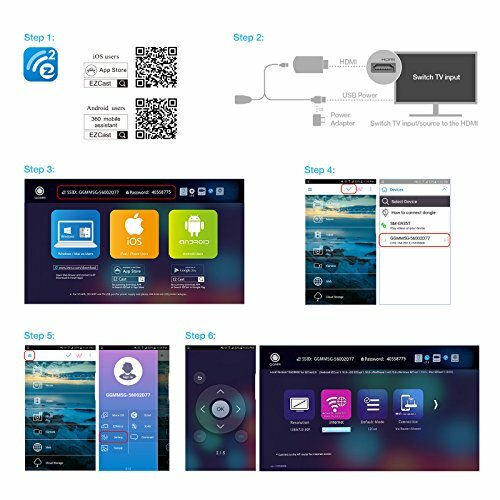 You can download the EZCast App to wirelessly stream your music, video, pictures, and document files to your TV or Projector. Note: For V-Linker 5G, please use a USB adapter of more than 5V/2A to power the dongle.